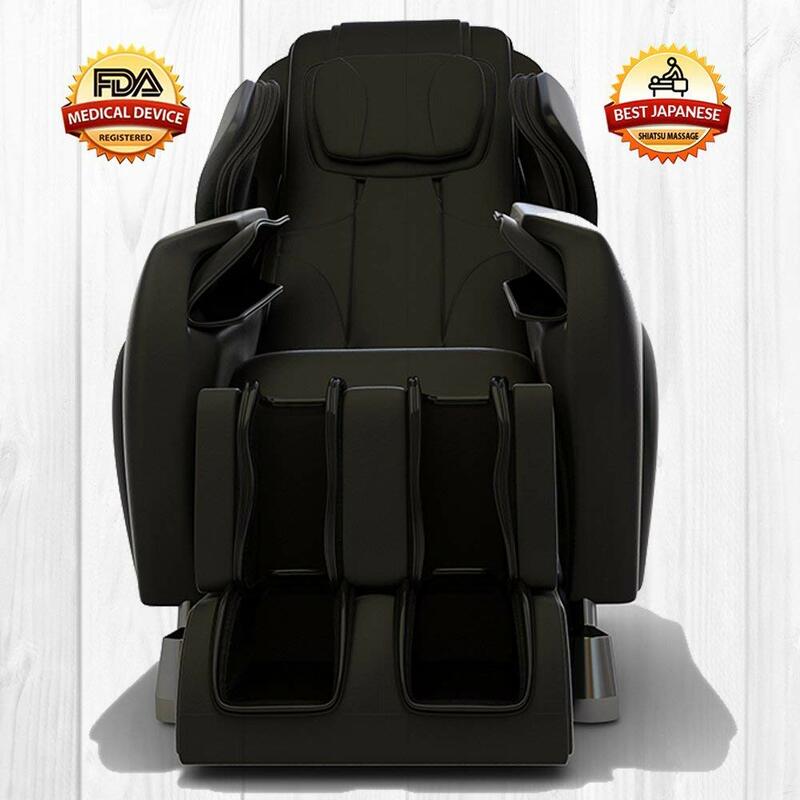 Medical Breakthrough massage chair has taken everyone by surprise, and it's neither because of its high-end features nor the decent number of reviews. But what stands out is the overall rating. It secured an unbeatable 4.9 out of 5. Unbelievable, right? Check it out yourself. The price too is reasonable for the feature set and relatively far less than the most advanced high-end massage chairs. As per the company, as many as 25 doctors from several specialized fields came together to offer their expert assistance in designing Medical Breakthrough chair. Perhaps, this might be the main reason why it’s flawless in design. In this price range, perhaps, Medical Breakthrough 4 is one of the very few that come with L track design. Only the perfect in design and the most advanced high-end massage chairs incorporate L track design. The real full body massage experience comes from quad massage rollers when they are also present in lower body cushion (glutes and legs) along with backrest. The rollers are 4 wheel driven and ultra-quiet. Roller massage is far superior to air massage experience especially in lower body. Most other chairs in this price range have just an S track design with rollers just covering the back and missing out on the glutes and legs. Body scan feature is present in almost all massage chairs. But there is a catch in execution. The massage rollers have to customize to precise level of your body height and width especially while rolling around back curves. This is where the best standout from the rest ordinary. And Medical Breakthrough’s body scan feature not just calculates your exact height but the rollers are also fed with accurate data so as to cover every inch of your back, matching your body stats precisely. Only adjustable beds come with memory savable positions wherein you can save your desired position and tune into the same whenever you wish to. But Medical Breakthrough chair has this feature. It in fact has 2 memory savable positions, simply adjust to your desired angles, set your massage mode, intensity levels and save them on your remote. The next time, just at the touch of a button, the chair will auto tune to the saved position. There are as many as 6 auto-massage programs preset on its remote. Combination of only flapping and kneading is allowed. However, like with no other chair, in shiatsu, flapping and knocking modes, the width between kneading balls can be adjusted between narrow, medium and wide. While body scan helps you adjust to your precise height, the width adjustability feature helps you adjust massage rollers to reach exact position in your back. Whereas, manual massage mode for upper body has below three options with 5 intensity levels. Medical Breakthrough, perhaps, is the only massage chair with mere 18 airbags. Yes, this is far less than what you get to see in most other chairs that are stuffed with more than 50 airbags into every nook and corner. Nonetheless, these 18 airbags are large enough to cover whole of upper and lower arms, legs and full body. There are three intensity levels for air massage as well – Low, Medium and High. While few chairs offer only air massage to feet, there are others that come with massage rollers. 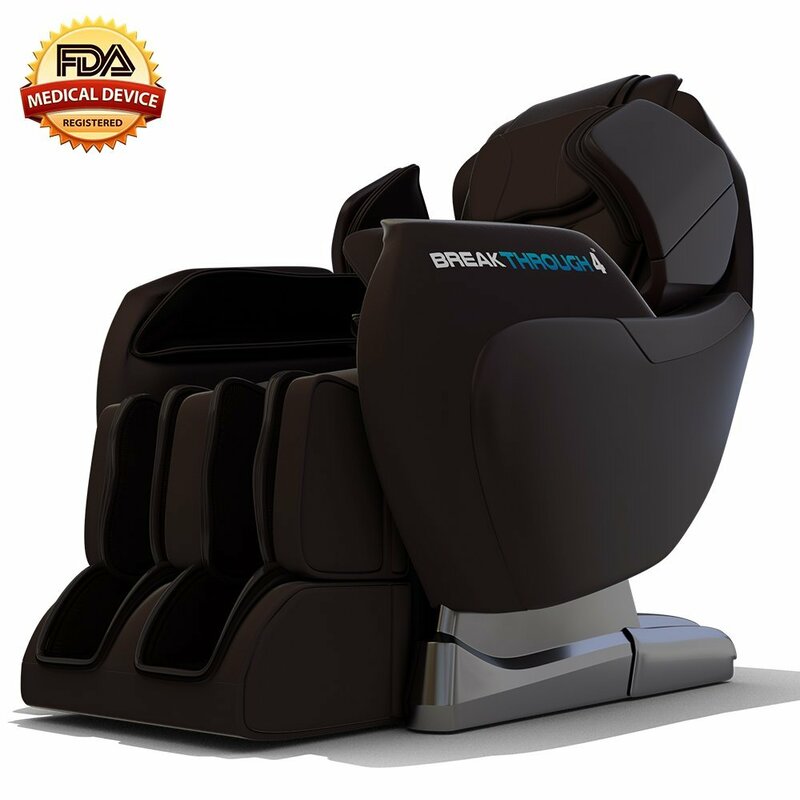 In addition to just air and roller massage, Medical Breakthrough chair has several advanced features. There is gentle skin scraping massage around heals and foot arches along with finger rotating papillae pairs embedded within the massage roller frame. While heat therapy is limited to lower back in most chairs, but in Medical Breakthrough chair radiant heat is generated for the entire body by carbon fiber based infrared heating element. Medical Breakthrough chair comes with Zero-gravity positions and owing to the superior design, it relatively it takes much less space. There are few who want a massage chair just for overall body massage or rather pain relief after a hectic day. For others, it is a need owing to chronic pain issues. For example, most of us suffer from lower back pain at one or the other time in our life. But it was not a sudden development that would vanish in few days. It stays for longer duration unless we bend our back as per medical advice. We might even need to go for regular physiotherapy. Medical Breakthrough 4 chair is designed by 25 expert doctors from various fields not just to cure such chronic pains but also to prevent them from building up in the long run. If you really wish to take care of yourself in the long run both physically and psychologically with regular massage then Medical Breakthrough 4 is for you.